Internet Download Manager (IDM) is a very famous and longstanding download tool on Windows. It monitors the clipboard and web browser’s downloadable links. You can download several files in batch and download several files in queue. What’s more, you can download a file on schedule, or even grab an entire website to local drive. 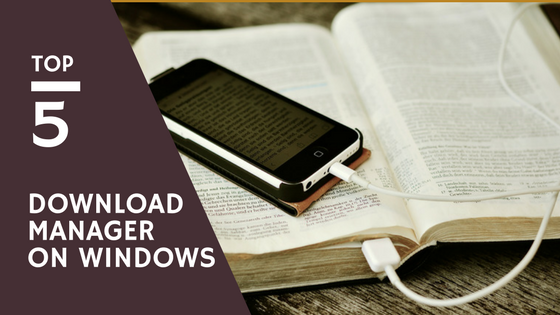 In my opinion, it’s the best download manager on Windows, I’ve used it for years. However, nothing is perfect, IDM doesn’t support BT, Magnet and ed2K download links, and the interface design is a bit out of date. To be honest, it is hard for this software to attract new users in this modern age. IDM offers 30 days free trial, then you need to buy it with $24.95. which is a lifetime license. 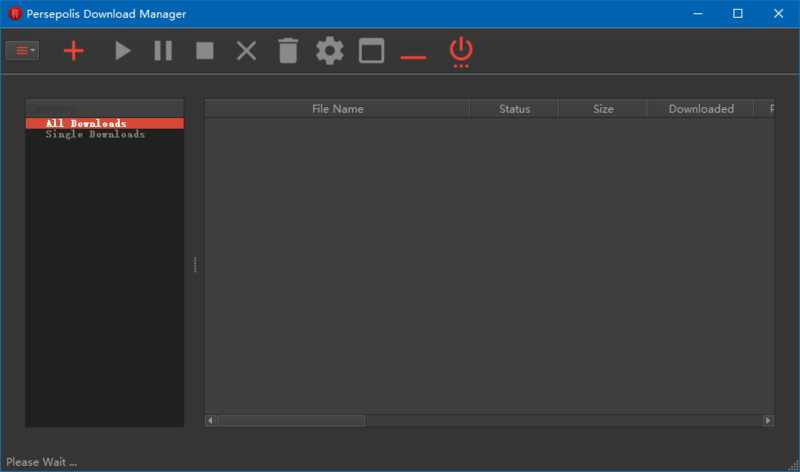 If you don’t want to pay for a download manager software, or you can’t stand IDM’s last century UI design, you can try the Free Download Manager (FDM). This software has similar features with IDM, but it’s totally free. FDM can pause and resume downloads, limit download speed smartly, schedule download tasks, grab websites. The highlight feature is, it can preview a video or audio file even it is still being downloaded. In addition, it also supports BT magnet links, you can even use it to browse an FTP server. FDM is a light-weight but full-fledged download manager software. You can download FDM on its official website, by the way, it also provides macOS version. 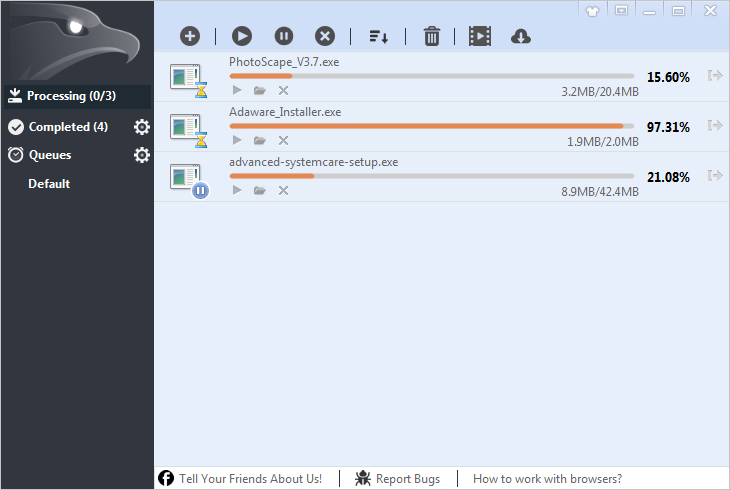 EagleGet is a lightweight download manager. 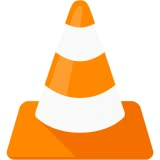 All main-stream features are contained in this software, like monitoring clipboard, integrating to web browser, sniffing audio and video, batch downloading, queue downloading, shutting down computer after download task finishes, and so on. The shortage is, EagleGet doesn’t support magnet links and BT links. You can download EagleGet from official website, it’s totally free. 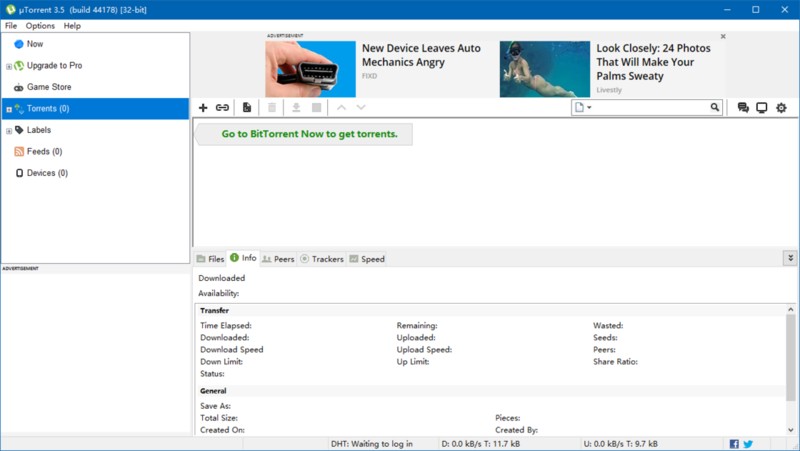 If you are a fan of BT and PT downloading, μTorrent can be your first choice. As a software designed for BitTorrent, it supports tasks priority adjusting, smart download speed control, RSS feeds subscription. It offers you the full speed download experience when downloading. Most of the important features are free to use. If you want to eliminate the ads, you need to pay 4.95 USD per year, if you want to full feature versions, you need to pay 19.95 USD each year. You can download μTorrent here, by the way, it also provides macOS, Linux and Android versions. Persepolis Download Manager (PDM) is a GUI client for the famous command line download tool Aria2. With PDM, you can get the most of Aria2 without any coding knowledge. Aria2 is an open-source downloading tool, it supports HTTP, HTTPS, FTP, SFTP, BT, Metalink and other downloading protocol, it’s the most popular download tool for geeks. However, if you want to use Aria2, you need some command line and coding knowledge. PDM is designed to solve this problem, anyone can enjoy Aria2 with this user-friendly software. You can download PDM from Github, it’s also available for macOS and Linux.